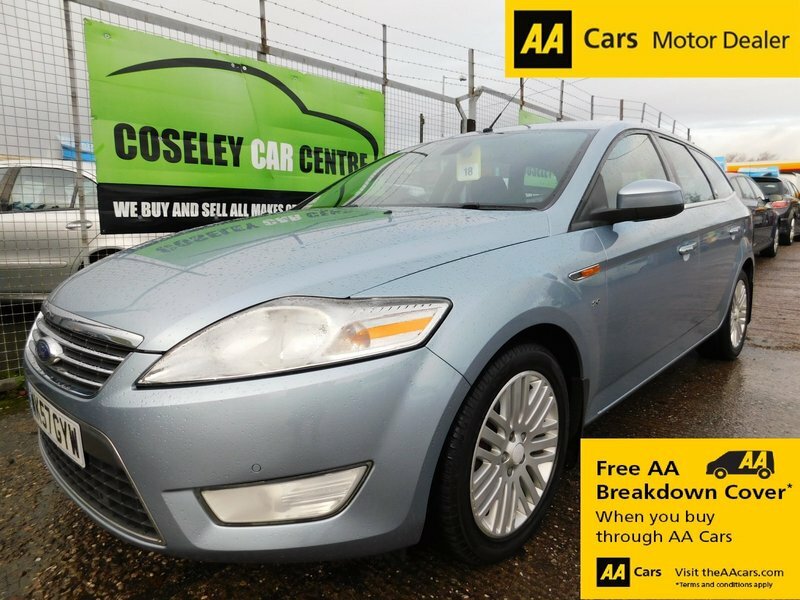 HERE WE HAVE A NICE EXAMPLE OF THE CAVERNOUS AND POPULAR MONDEO ESTATE COMING IN GHIA SPEC WITH 'TONIC' METALLIC PAINTWORK. IT COMES WITH A SERVICE HISTORY SHOWING 8 FORD MAIN DEALER SERVICE STAMPS AT 6K, 15K, 23K, 31K, 42K, 52K, 64K, 84K AND IT COMES WITH FRONT AND REAR PARKING SENSORS, CRUISE CONTROL, CLIMATE, CD PLAYER, HEATED FRONT SCREEN, ELECTRIC DRIVERS SEAT HEIGHT ADJUSTMENT, ALLOYS etc etc. THERE IS 1 REMOTE KEY, A FULL BOOKPACK, UP TO 12 MONTHS UPGRADEABLE WARRANTY AND 12 MONTHS FREE AA COVER.